Immuno-Oncology is a fast-paced field with massive potential to deliver successful and durable cancer therapies. This event will draw together different, key facets of the rapidly evolving field to propagate invigorating and thought-provoking discussions between industry leaders and inform and update delegates on current key areas for development, on future potential therapies advancements and provide revisions of regulations. The Immuno-Oncology conference will focus of a few key areas of the field – the promising data coming out from CAR-T Cell Therapy trials and the success of the Immune Checkpoint Inhibitor from MSD. The use of oncolytic viruses in therapeutic vaccines will be explored, along with using bispecific antibodies as targeted therapies. Combination treatments will be discussed, drawing together all the key areas, to look towards the future of Immuno-Oncology and how the field can progress. James Legg is currently VP Research and Development at Crescendo Biologics in Cambridge UK where he is responsible for Crescendo's building portfolio of Immuno Oncology Humabody Biologics. Prior to joining Crescendo, James completed a Ph.D in Molecular Cell Biology from Imperial College London and a Post Doc at Imperial Cancer Research Fund (now CRUK) before moving into the Biotechnology industry with a role at Cambridge Antibody Technology and then a number of positions within MedImmune, the Biologics arm of AstraZeneca. Kandeepan Ganeshalingam received his Medical Degree from the University of Aberdeen and a Master of Science Degree from the Imperial College School of Medicine, University of London. He was also the Faraday Research fellow at the National Heart and Lung Institute, UK. Following a 10 year career as a physician in the National Health Service Hospitals, UK, he joined the Oncology product development team at Roche in 2007. In this role he played a significant role in product development with several successful submissions to EMA and FDA. In 2010, he moved to Vifor Pharma, Switzerland to become the Global Head of Medical and Clinical Drug Safety, where he played a leadership role in clinical development, regulatory submissions and safety risk management. In 2012, he returned to Roche Product Development Medical Affairs as Senior Medical Director, in immunology and was subsequently promoted to Group Medical Director in Oncology, where he led the Global Medical team responsible for multiple Haematology/Oncology products. In this role he was instrumental in building clinical trial collaborations with academic groups and external pharmaceutical companies. In 2016, he joined Merck Sharp Dohme as Executive Director, Oncology Therapeutic Area Head, European Clinical Development, where he is involved in the clinical development of cancer immunotherapies. A description of Crescendo’s approach to developing differentiated Immuno oncology therapeutics with several examples of molecules in our research pipleline. Case studies include a BiParatopic PD-1 inhibitor which shows efficacy in an anti-PD-1 insensitive in vivo model, a BiSpecific molecule inhibiting both PD-1 and LAG3 for overcoming resistance or insensitivity to PD-1 inhibition and a Targeted IO approach in which T-cell co-stimulation is focused away from the periphery and into the tumour microenvironment in order to improve the narrow therapeutic index observed with standard T-cell agonist antibodies. Loui Madakamutil is currently VP and Head of Discovery and Research at Nektar Therapeutics and is responsible for the overall discovery strategy of Nektar to deliver novel immuno-modulatory medicines in several therapeutic areas including Cancer and Auto-inflammatory diseases. Previously, Loui was a Senior Director and Lead for Rheumatology-DAS at Janssen Research Division for 2.5 years where Loui was responsible for the discovery strategy and delivering portfolio assets from early ideas to proof of concept in humans in Rheumatic diseases. Loui held appointment as the Site Head of Immunology at Takeda Pharmaceuticals in San Diego and, over a 5 year period, held positions of increasing responsibility in Drug Discovery and Early Development and was responsible for driving Takeda’s Discovery strategy in Immunology with a focus on inflammatory bowel disease (IBD) and Cancer Immunology. Loui also spent five years in Immunology discovery at Celgene in the Experimental Therapeutics Team. He has taken several large and small molecule compounds into Phase 1a. Loui did his Post-Doctoral training at the La Jolla Institute for Allergy and Immunology, first with Eli Sercarz and then with Hilde Cheroutre. Loui has a PhD in applied immunology from the University of Mumbai India and an MS in Biochemistry. Neil has 20 years’ experience in drug discovery and development and has successfully led a growing portfolio of antibody, antibody fragment and recombinant protein therapeutics from concept to clinical development. He joined F-star from GlaxoSmithKline (GSK) where he was Vice President, Head of Biopharmaceutical Research. Neil played a key leadership role, as Head of Research, in the success of building Domantis until the company was acquired by GSK in 2007. Neil is an Honorary Doctor of Science from Hertfordshire University and sits on the BBSRC Council. He holds a PhD in Biochemistry from Dundee University, UK. Dr Robert Boyd has over 20 years of experience in antibody target discovery and therapeutic development. He is a scientific director at Oxford BioTherapeutics (OBT, UK) and leads novel therapeutic programs in Immuno oncology. He joined OBT from the MRC Toxicology Unit where he was a senior investigator. He has held senior scientific positions at Oxford GlycoSciences and Speywood Pharmaceuticals focused on targeted medicines. Dr Boyd holds a PhD in Biochemistry from Sussex University, and conducted post-doctoral research at the Royal Postgraduate Medical School and the Imperial Cancer Research Fund. Aman received his Master’s in Pharmacometrics from Department of Pharmaceutical Sciences, UB from Dr. Wojciech Krzyzanski’s lab in 2012 working on translational PKPD models for monoclonal antibodies. He joined Dr. Dhaval Shah’s lab in 2013 for his PhD working on different aspects of Antibody-Drug Conjugates (ADCs). He is currently working the Biologics Development Sciences Department of Janssen R&D as PK-PD Scientist. Besides that he also has industrial experience in different modeling and simulation positions in Pfizer, Cognigen Corporation and Genentech. Jana holds a master’s degree in biomedical sciences from the University of Ghent since 2016, with a specialization in the field of immunology by completing a thesis project about Natural Killer cell differentiation. She started her career as Research Associate in the Cell Based Solutions team at Ablynx, where she gained experience in performing various cellular- and flow cytometry-based assays. Afterwards she joined ImmunXperts as Scientist, where she now is dedicated to operating and setting-up various immuno-oncology specific projects. Caroline Hull obtained her PhD from King’s College London in 2015 where she developed cell therapies for autoimmune diseases using lentiviral T cell receptor gene transfer. More recently her research has focused on developing CAR T cell therapies for solid tumours, specifically mesothelioma. 16:40 Could the microbiome boost cancer immunotherapy? Shahram Lavasani holds a Ph.D. degree from Lund University in Medical Inflammation Research where he studied the immunoregulation and novel immunotherapies in multiple sclerosis (MS). He is a skillful immunologist, with many years of teaching and research expertise on gastrointestinal complications in autoimmune and chronic inflammatory diseases. Focusing on Gut-Brain axis he has pioneered research in MS, which is an autoimmune disease of the central nervous system, by demonstrating inflammation and increased permeability in the gut and introduced microbiota-based therapies using combination of probiotic bacteria. He is the founder of ImmuneBiotech, developed a proprietary lactobacilli library and established accurate and multiple selection technologies to screen and design formulations for the optimal therapeutic management of the diseases. ImmuneBiotech´s first product, designed to address the underlying causes of Irritable Bowel Syndrome (IBS), has shown major success and will soon be available in the market. Dr Paul Cockle is Head of Immunology at PsiOxus Therapeutics Ltd, where he is coordinating the activities of a team of highly skilled scientists engaged in progressing novel immune modulating candidates from the company’s cancer gene therapy T-SIGn oncolytic virus platform and developing innovative approaches for evaluating the activities of new viruses. After obtaining his D.Phil in Clinical Medicine from Oxford University, he pursued a career in tuberculosis vaccine research, before joining Pfizer to help establish their newly formed Vaccine Research group. After initially working on vaccines against infectious disease, he moved into the field of therapeutic vaccines, including that of cancer vaccines. More recently, Dr Cockle joined Gritstone Oncology to help develop their personalized neoantigen-targeted therapies, before making his move to PsiOxus Therapeutics at the start of the year. Dr Howard is a Founding Scientist and Chief Scientific Officer at Spirogen. He has been conducting research into the pyrrolobenzodiazepine (PBD) family of antitumor antibiotics for twenty years in both academia and industry. Philip has worked as a part of a multi-disciplinary team, supported by Cancer Research UK and Spirogen, on the synthesis, biological evaluation and development of the PBD dimers. Since 2008 he has been working on the development of the PBDs as payloads for antibody-drug conjugate therapy with a number of leading companies including, Seattle Genetics, Stemcentrx, ADC Therapeutics, Genentech, Regeneron and Tanabe Research Laboratories USA Inc. Dr Howard designed the tesirine payload (SG3249) and the warhead SG3132 released by the talirine payload. His work at MedImmune is focused on the further development of their PBD-ADC platform. At the time of writing, more than 23 PBD-ADCs, arising from Spirogen collaborations, have been submitted to clinicaltrials.gov for 11 targets. Dr. Giljohann has served as CEO of Exicure since 2013. Dr. Giljohann obtained his Ph.D. in 2009 from Northwestern University under the direction of Dr. Chad A. Mirkin where he developed oligonucleotide-modified nanoparticles, including NanoFlare™, and Spherical Nucleic Acid (SNA™) constructs. Dr. Giljohann has been recognized for his work with a Materials Research Society Gold Award, Baxter Innovation Award, Rappaport Award for Research Excellence, NSEC Outstanding Research Award, and as a finalist in the National Inventors Hall of Fame Collegiate Inventors Competition. He was also named to the Analytical Scientist's "Top 40 Under 40 Power List" in 2014. Dr. Giljohann has contributed to over 25 manuscripts and over 100 patents and applications. Chris is Regulation Manager at the Human Tissue Authority (HTA) and is part of the Regulation Directorate. He leads inspections in all of the HTA’s sectors (especially the research sector), develops policies for the sectors, is involved in training, and is part of the team developing strong links with stakeholders and other organisations. These include the Health Research Authority (HRA), the Medicines and Healthcare products Regulatory Agency (MHRA), the Human Fertilisation and Embryology Authority (HFEA), NHS Blood and Transplant (NHSBT) and the United Kingdom Accreditation Service (UKAS). Chris is also Guidance Project Manager at the HRA, where he has worked since February 2016. As a member of the Quality, Standards and Information Directorate, he is involved in reviewing the Integrated Research Application System (IRAS) for Research Tissue Banks (RTBs) and research projects. He has also been involved in developing the HRA E-learning package on research involving human tissue. Chris’s previous background was in research. He holds a degree in Natural Sciences and an MSc and PhD in Molecular Oncology. His previous career was in academia. He was a senior lecturer in oncology at University College London (UCL) and led a research team investigating the causes and treatment of breast and ovarian cancer. Dr Andrew Exley is a Medical Assessor in the Biologicals and Biotechnology Unit within the Licensing Division of the MHRA in London. He provides bench to bedside expertise in immunology and regulatory affairs including diagnostics, biomarkers, and clinical endpoints, from a background of extensive experience as a consultant immunologist. Medical training includes undergraduate studies at Balliol College, Oxford with a BA Hons Physiological Sciences, and the medical degree from The Royal London Hospital in Whitechapel. Postgraduate studies include the Royal Postgraduate Medical School, Hammersmith Hospital with an MD on TNF and Septic Shock, and the University Hospitals of Birmingham, leading to FRCP and FRCPath Immunology. Dr Exley provides scientific and regulatory advice on cytokines, monoclonal antibodies, novel chimaeric proteins, immunotoxins, synthetic antigen mimics, and ATMPs including gene therapies, CAR T cells, novel cell therapies. Support is provided for national, decentralised and centralised procedures through the assessment of clinical dossiers together with scientific and regulatory advice within accelerated PRIME and EAMS_PIM procedures. How are the regulations keeping up with innovation and evolving therapeutic approaches? What are the current barriers to entry in the market? Ro joined AstraZeneca in 2015 as an Evaluation Director in the Oncology Business Development team. He is responsible for leading the evaluation of new in-licensing and out-licensing opportunities in late stage oncology as well as Immuno-oncology clinical collaborations. Ro led the divestment of AstraZeneca’s rare disease thyroid cancer therapy Caprelsa to Sanofi/Genzyme for up to $300m. Ro has also led several Immuno-Oncology clinical collaboration deals including with Immunomedics combining IMFINZI (PD-L1 inhibitor) with IMMU-132 in first-line triple negative breast and bladder cancers, Celgene, NewLink Genetics, GSK and ADC Therapeutics. Ro received his PhD in Oncology from Trinity College, Cambridge on a Gates Scholarship, and has an MBA from the Cambridge Judge Business School. Why should biotechs enter into an IO clinical collaboration with pharma? What does pharma look for in a biotech when deciding whether or not to enter into a clinical collaboration? On completion of his degree in biochemistry & biological chemistry, Harry joined the pharmaceutical industry and has over 10 years of experience operating within numerous functions including pharmacovigilance, medical information and medical affairs. Over the past 7 years, he has focussed on Oncology and Haemato-oncology working for some of the leaders in the field; including Roche, Novartis and GlaxoSmithKline. Harry joined Gilead in 2015 as a Medical Scientist covering the South East of the U.K. He has a deep passion for the science behind Oncology and is undertaking an MSc in cancer and therapeutics at the Bart’s Cancer Institute and Queen Mary University of London. Jonathan C. M. Wan is an M.B. Ph.D. student at Trinity College, University of Cambridge, UK. He completed his preclinical medical studies at King's College London, UK, and is currently carrying out his Ph.D. in Nitzan Rosenfeld's laboratory at the Cancer Research UK Cambridge Institute, University of Cambridge (2015–18), where he is developing individualised circulating tumour DNA assays to monitor patients with melanoma with high sensitivity. View details American Laboratory Supporting Media Partners http://www.americanlaboratory.com For laboratory managers and researchers utilizing analytical chemistry and its applications, seeking knowledge on new technologies, methods, applications, and products, the American Laboratory® publication platform provides comprehensive technology coverage for laboratory professionals at all stages of their careers. Unlike single-channel publications, American Laboratory® is a multidisciplinary resource that engages scientists through print, digital, mobile, multimedia, and social channels to provide practical information and solutions for cutting-edge results. American Laboratory® serves the need of global community of laboratory professionals for communicating relevant technical advances and insights. Globally, American Laboratory® reaches out to subscribers by offering digital distribution plus premium print in North America. Digital communications utilize internet, mobile and social channels. View details Antibodies Supporting Media Partners http://www.mdpi.com/journal/antibodies /Antibodies/ (ISSN 2073-4468), an international, peer-reviewed open access journal which provides an advanced forum for studies related to antibodies and antigens, especially how to quickly translate basic research results to therapeutic applications. It publishes reviews, research articles, communications and short notes. Our aim is to encourage scientists to publish their experimental and theoretical results in as much detail as possible. Antibodies is covered by Emerging Sources Citation Index (ESCI) and DOAJ. View details Biocompare Supporting Media Partners http://www.biocompare.com Biocompare.com is the leading resource for up-to-date product information, product reviews, and new technologies for life scientists. Biocompare combines an in-depth knowledge of life science products and new technologies with the power of the Internet to offer scientists the most dynamic, relevant, and innovative media-based marketplace for life science information. 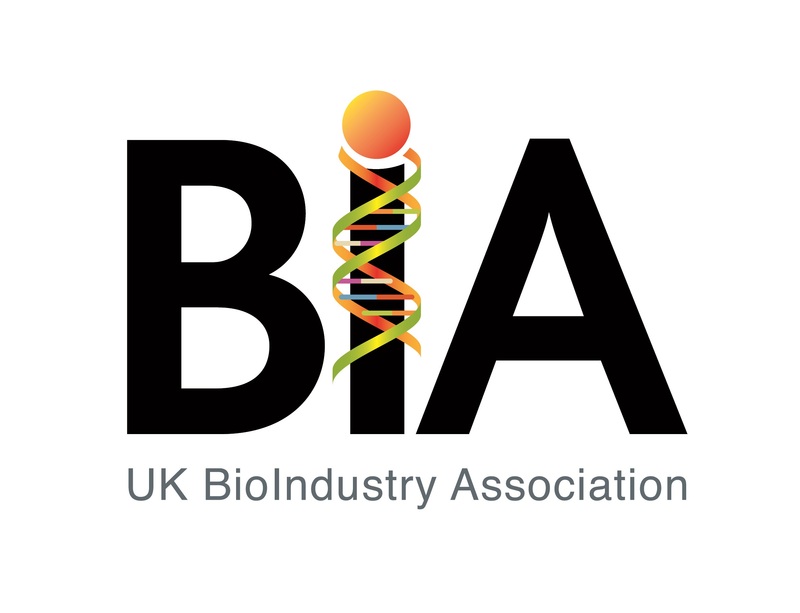 View details BioIndustry Association Supporting Media Partners https://www.bioindustry.org/ The BioIndustry Association (BIA) is the trade association for innovative life sciences in the UK. Our goal is to secure the UK's position as a global hub and as the best location for innovative research and commercialisation, enabling our world-leading research base to deliver healthcare solutions that can truly make a difference to people's lives. View details BioPartner UK Supporting Media Partners http://biopartner.co.uk/index.php BioPartner UK is the accredited trade organisation that provides practical support and international promotion to UK Life Sciences companies, who wish to grow their business overseas. BioPartner signposts to UK expertise and leads delegations to promote the UK presence at major international biopharma conferences. By operating in partnership with the UK government and event organisers, BioPartner assists all UK companies with access to government grants and heavily discounted entry fees. Members of the BioPartner Programme receive extra benefits and support to effectively trade overseas. View details Drug Development Technology Supporting Media Partners http://www.drugdevelopment-technology.com Drugdevelopment-technology.com covers every aspect of the drug development and research process, from conception to pre-FDA approval. Our global network of journalists updates the site with the latest and most significant industry developments. This coverage allows us to provide everyone - from senior management through to research and QA staff – with in-depth reviews of the latest projects, advance notice of new product releases and analysis of the latest procedural and legislative developments. View details Drug Discovery Today Supporting Media Partners http://www.drugdiscoverytoday.com/ Drug Discovery Today covers the whole of the preclinical drug discovery process. The reviews are cutting edge, written by experts in their respective fields and cover all aspects of drug discovery from genomic and proteomic approaches, computational drug design, medicinal chemistry and the translation of these sciences to therapies. View details Drug Target Review Supporting Media Partners http://www.drugtargetreview.com Drug Target Review’s quarterly magazine, website and annual events program provides high quality content with peer-written articles that are submitted exclusively by the world’s most respected scientists in their field. This attracts a committed base of readers, users and delegates made up of senior decision-makers from the life science and drug discovery industries at the top pharmaceutical companies, as well as academics and scientists from the top research institutes across the globe. View details European BioPharmaceutical Review (EBR) Supporting Media Partners http://www.samedanltd.com European BioPharmaceutical Review (EBR) provides a dedicated platform of communication and information for the biopharmaceutical market across Europe, North America and the rest of the world. Each quarterly issue, 10,500 copies of the magazine are distributed to our specially-targeted readership with articles on the hottest topics written by eminent commentators from the biotech scene. View details Human Immunology News Supporting Media Partners https://www.humanimmunologynews.com/?utm_source=immunooncol2018&utm_medium=banner&utm_campaign=hinimmunooncol2018 Human Immunology News is a free, weekly e-newsletter that keeps members of the human immunology community informed by providing the latest news from all areas of the field, including science, research and business, to regulatory affairs. Subscribe now to stay current in the latest research news. 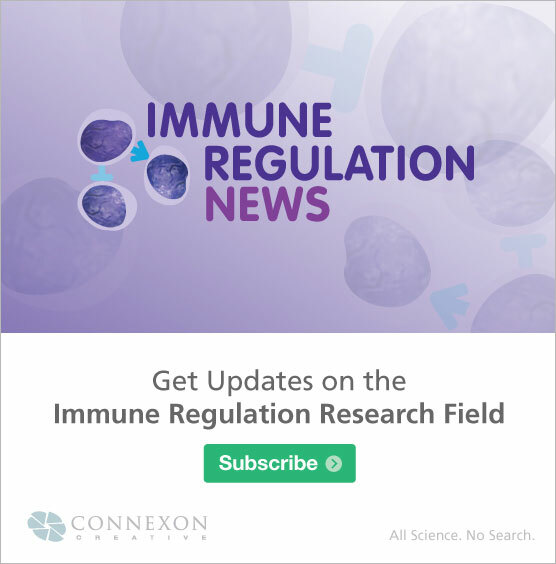 View details Immune Regulation News Supporting Media Partners https://www.immuneregulationnews.com/?utm_source=immunooncol2018&utm_medium=banner&utm_campaign=irnimmunooncol2018 Immune Regulation News is a free, weekly e-newsletter that keeps members of the immune regulation community informed by providing the latest news from all areas of the field, including science, research and business, to regulatory affairs. Subscribe now to stay current in the latest research news. View details Journal for Clinical Studies – Your Resource for Multisite Studies & Emerging Markets Supporting Media Partners http://www.JforCS.com Published bi-monthly.JCS is a unique journal, dedicated to providing information to the global pharmaceutical, biotechnology, medical devices and contract research organisations. JCS details practical and theoretical operational procedures, challenges, validatory and regulatory guidelines when conducting trials on a multisite basis and particularly within the emerging markets, naïve patient population, and remote access areas. JCS provides country by country objectives and uniquely brings you experiences in therapeutic areas of Liver diseases, kidney diseases, insect borne diseases, malnutrition and under nutrition. JCS is led by a strong editorial advisory board sourced out for their experiences; you will get the most practical insight for your global studies. JCS invites you to join us, write for us, feature your experiences with us, advertise your capabilities with us, and ask our advisory board for suggestions and guidelines. Let us make health care available to all. View details Labiotech.eu Supporting Media Partners https://goo.gl/DRE2Gp Labiotech.eu is the leading digital media covering the European Biotech industry. Over 100,000 monthly visitors use it to keep an eye on the business and innovations in biotechnology. Hope you'll enjoy reading our stories! View details Oncology Central Supporting Media Partners http://www.oncology-central.com Oncology Central is the online knowledge hub open to all healthcare professionals, offering access to breaking news, peer-reviewed articles and exclusive content to members of the oncology community. View details Pharma Journalist Supporting Media Partners http://www.pharmajournalist.com Pharma Journalist is a product of Kellen Media. Pharma Journalist is one of the leading website covering the need of global Pharmaceutical Industry. Articles like latest news, trends, analysis, market report, press releases, whitepapers, case studies, etc. published on pharmajournalist.com helps Industry professionals and decision makers to stay on the top of this fast-paced industry. Pharma Journalist aims of providing fast and informative articles to its readers and subscribers. 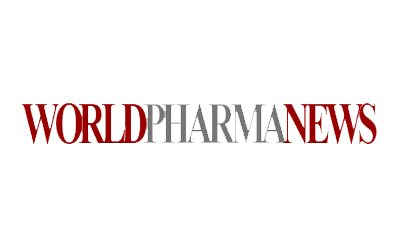 View details Pharmaceutical Outsourcing Supporting Media Partners http://www.pharmoutsourcing.com Pharmaceutical Outsourcing, the journal dedicated to pharmaceutical and biopharmaceutical contract services. With regular sections on contract manufacturing, contract research, contract packaging, formulation/development services, contract analytical testing, APIs, stability testing, clinical research and other areas, we bring the most complete coverage of trends and issues in the industry to our 15,000 readers in North America. View details Pharmaceutical Technology Supporting Media Partners http://www.pharmaceutical-technology.com Pharmaceutical-technology.com is the only website focusing specifically on issues relevant to pharmaceutical professionals working with technology, be it development, engineering, IT or production. Pharmaceutical-technology.com brings you the latest in industry projects and updates, along with the news, views and trends that leading professionals – from senior executives to manufacturing managers and heads of procurement – require to stay on top of their field. View details Pharmacircle Supporting Media Partners http://www.pharmacircle.com PharmaCircle is an innovative knowledge management company serving the current and future global leaders in the Pharmaceutical and Biotechnology related industries. PharmaCircle is a one stop information and analysis source for pipeline, products, clinical trials, drug delivery technologies, deals and acquisitions, company financials, venture capital investments, product sales, pharmaceutical services, news, patents and more…. View details SciDoc Publishers Supporting Media Partners http://www.scidoc.org SciDoc Publishers is a major source provider of e-journals in the field of Science, Technology and Medicine (STM). The nature of journals - Open Access and Peer-reviewed. We are aimed with a sole motive in making a mark in the field of Open Access, by propagating the knowledge to the scientific community. Our prime concern involves, the knowledge to reach millions of readers and give them access to scientific publications - online. View details Swiss Biotech Association Supporting Media Partners http://www.swissbiotech.org/ The Swiss Biotech Association (SBA) is the national industry association for biotechnology, including pharmaceuticals, diagnostics, agriculture, food, cosmetics, environmental biotechnology, and specialty chemicals. Members are companies active in modern biotechnology, such as R&D, Production, Marketing and Sales, Finance, Services and Consulting. SBA provides a networking platform for Life Science clusters, academic and federal institutions the like. Founded in March 1998, the Association grows steadily. The BioIndustry Association (BIA) is the trade association for innovative life sciences in the UK. Our goal is to secure the UK's position as a global hub and as the best location for innovative research and commercialisation, enabling our world-leading research base to deliver healthcare solutions that can truly make a difference to people's lives. Oncology Central is the online knowledge hub open to all healthcare professionals, offering access to breaking news, peer-reviewed articles and exclusive content to members of the oncology community. 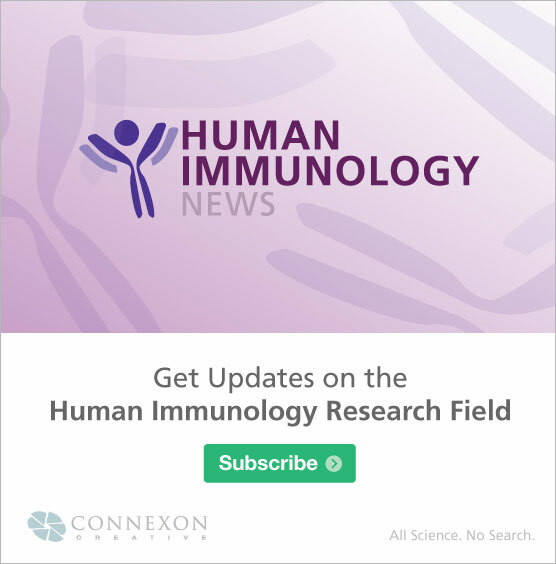 Human Immunology News is a free, weekly e-newsletter that keeps members of the human immunology community informed by providing the latest news from all areas of the field, including science, research and business, to regulatory affairs. Subscribe now to stay current in the latest research news. Immune Regulation News is a free, weekly e-newsletter that keeps members of the immune regulation community informed by providing the latest news from all areas of the field, including science, research and business, to regulatory affairs. Subscribe now to stay current in the latest research news. European BioPharmaceutical Review (EBR) provides a dedicated platform of communication and information for the biopharmaceutical market across Europe, North America and the rest of the world. Each quarterly issue, 10,500 copies of the magazine are distributed to our specially-targeted readership with articles on the hottest topics written by eminent commentators from the biotech scene. /Antibodies/ (ISSN 2073-4468), an international, peer-reviewed open access journal which provides an advanced forum for studies related to antibodies and antigens, especially how to quickly translate basic research results to therapeutic applications. It publishes reviews, research articles, communications and short notes. Our aim is to encourage scientists to publish their experimental and theoretical results in as much detail as possible. Antibodies is covered by Emerging Sources Citation Index (ESCI) and DOAJ.